Navigating the social dos and don'ts of kids' parties. Back when I was growing up, birthday parties were all about simplicity. All it took was a few invitations to some neighborhood friends, a quick game of musical chairs, a round of pin the tail on the donkey and, the finishing touch, a batch of my mom’s homemade cupcakes. Nothing fancy, but it worked like a charm for years. Today, birthday celebrations seem anything but simple. The numerous choices, from figuring out how many kids to invite and choosing the party place, to handling a misbehaved child during the party, can be overwhelming. Are there any guidelines to follow? Of course. Here’s the inside scoop on all things birthday etiquette. Do I invite the entire class? In this day and age, it isn’t necessary to invite everyone in your child’s class. “The host family has the right to dictate the size of party that they feel comfortable with, the corresponding party budget, and the number of children they feel their home or venue can accommodate and that they can manage safely,” says Elena Neitlich, president of EtiquetteMoms.com, an international etiquette trainer certification company based in Sarasota, Florida. 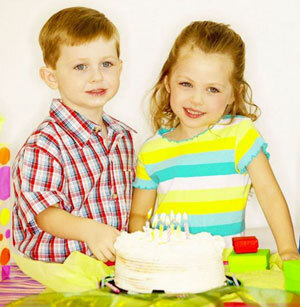 Mailing invitations is a special way to honor the occasion, birthday child and guests. Mailed invitations are tangible and exciting. They can be put up on the refrigerator, reminding mom and dad to buy a gift. “Plus, they’re less likely to get lost on the floor of a car or school bus, or forgotten in a bookbag,” Neitlich adds. Does this method avoid hurt feelings? Mailing invitations is better than distributing them at school. Handing out invites in front of uninvited peers is terribly ill mannered and hurtful. However, if invitations must be handed out versus mailed, then everyone in the group should be invited. You want to do what you can to eliminate the potential of upsetting a child. Think about how your child would feel if he wasn’t included. While Evites are becoming more common, they should only be used for informal gatherings, such as a pizza nights or an afternoon of bowling with a small group. “E-mail invitations can get caught in a spam filter, forgotten, deleted without being read or ignored because they aren’t overly special,” Neitlitch notes. What about sweet treats for classroom celebrations? Cupcakes make birthdays special at school. However, you’ll want to check your child’s school policy. In most elementary classes, teachers alert parents at the beginning of the year about allergies. Be mindful of this information when preparing treats. “If you don’t know how to handle the situation, send the teacher an e-mail and ask,” Neitlich suggests. How do I manage misbehaved children during the festivities? Odds are that most children are well behaved. However, if a guest isn’t listening or is causing a significant disruption to the party, parents should be ready to handle the situation. Neitlich suggests the following tips for dealing with the possible situation. With these guidelines, birthday fetes don’t have to be complicated. And the one thing that certainly hasn’t changed over the years is that it’s still all about making your child feel extra special on that special day. Kerry Luksic is a mother, a writer and an Alzheimer’s advocate. She is the author of the recently published memoir, Life Lessons from a Baker’s Dozen: 1 Mother, 13 Children, and their Journey to Peace with Alzheimer’s (Unlimited Publishing, LLC). Some of her other work has appeared in The Star Ledger, The Philadelphia Inquirer, The Main Line Times, Parents Express and Examiner.com. Connect with Luksic at www.kerryluksic.com.